To avoid the monotony of similar hatching you should vary not only the pressure but also the length and direction of the strokes, using various kinds of hatching. It is important to portray various objects and surfaces using different hatching methods. 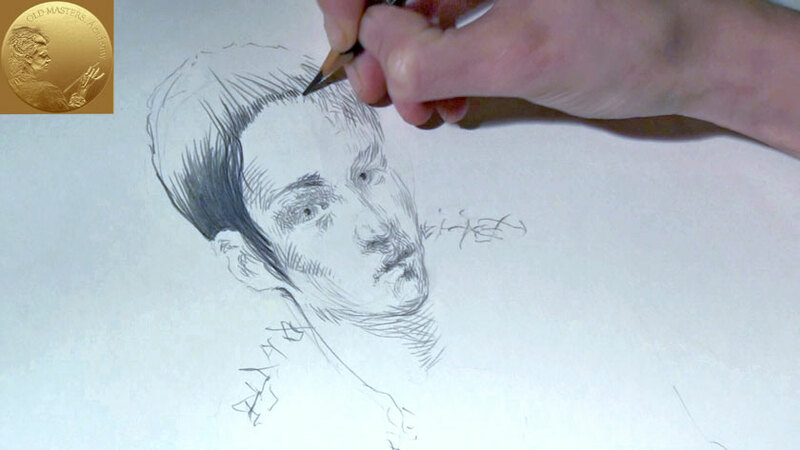 In our portrait, the hair, the skin and the cloth all use different kinds of hatching. 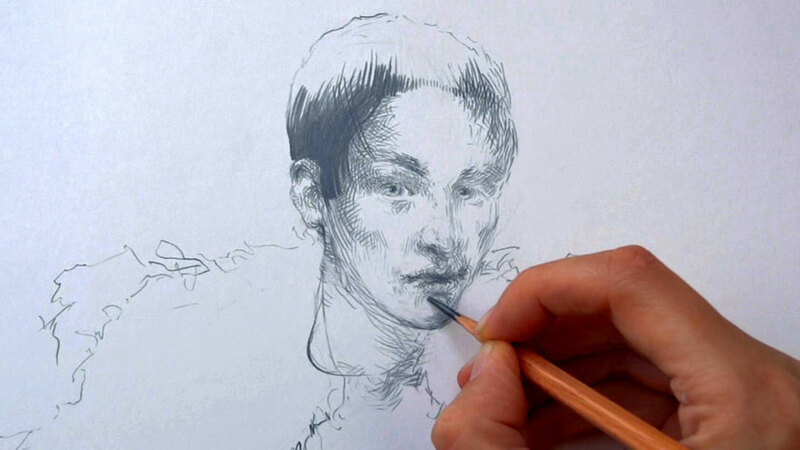 Lifting the pencil towards the end of the stroke can be used to give a grassy or fluffy effect. It can be useful to apply less weight to the pencil at the start of the stroke, rather than applying full pressure right away. To avoid giving the drawing an all-grey appearance, you may make dark accents in some places. In our drawing, the darkest area is on the hair. 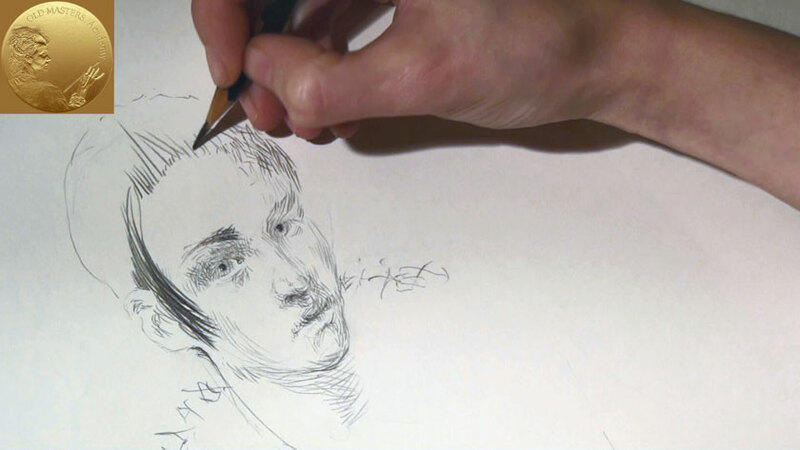 The pressure of the strokes on the paper in combination with differing pencil softness will deliver variations in tones. When drawing lines to shade a form, it is usually best to draw with the movement of the form. But there are times when you can get a better effect by drawing against the movement. Try many methods. When drawing lines, either in a linear drawing or within a texture in a tonal drawing, note that you can vary the weight of the line by lifting the pencil or pressing harder. In certain places the strokes are weak and thin and in other places they are bold and strong; this combination of strokes adds some character to the drawing. You may also vary smooth and sharp broken strokes. The combination of the more completed face and the unfinished body and cloth, as well as the fine, rhythmic, almost poetic lines used, makes this drawing more interesting and harmonious. Remember that one of the beautiful things about good drawing is the rhythm and flow of the lines.